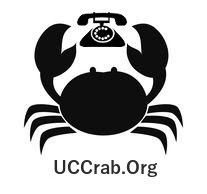 UCCrab Blog: Skype for Business - Why Can't I Escalate to a Conference? Skype for Business - Why Can't I Escalate to a Conference? I had a customer a few weeks ago that could not escalate to a conference. They were having a P2P call with someone, tried to add a third user to the conversation and received an error each time. The problem had been going on for about a week and they asked if I could take a look and see what was going on. The transaction log for database 'rtcxds' is full due to 'LOG_BACKUP'. I'm not a SQL expert, but shouldn't there be a way to increase or decrease the size of the logs? Well, there is, but it turned out to be more convuluted than I had hoped. After some Googling, I found that I have to take a backup before increasing the size. However, after talking with the customer, they're taking pretty frequent backups already. So, is there a way to take a back without really taking a backup? Yes, of course! Entering the above two lines into a sql query (sans my note: on line two) within SQL Server Managment Studio tells SQL to write a backup to 'Null'. As far as SQL is concerned, a write happened, so we're all good.